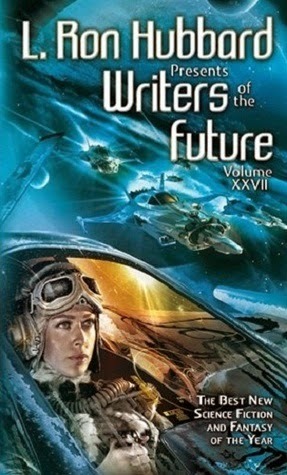 L. Ron Hubbard Presents Writers of the Future Volume 27 is available at Amazon, Barnes and Noble, and BooksAMillion. From the farthest reaches of the universe to the innermost workings of the human heart and mind... Let tomorrow s masters of science fiction and fantasy take you on a journey that will capture your imagination. Scattered starfarers in the emptiness beyond the solar system try to stay connected and even find love in the greatest emptiness imaginable. A half-human spellcaster must compete against other witches for a grand championship, but her greatest challenge may be confronting herself. A washed-up reporter investigating a story on the Moon finds that the truth can be more dangerous than terrorism. A detective tries to solve a murder in a world where a godlike computer can reprogram reality itself, at will. In a dark, fantastic world, a scholar from a dying race takes an acolyte who holds secrets greater than the histories they study. Far from Earth, a human envoy finds himself caught in a bloody religious war between two alien cultures, neither of which he can understand. A hunter tracks addicts who have lost their souls inside a computer network and drags them back out, whether or not they are ready to face the real world. Missionaries on a hellish planet try to impose peace between warring alien races, even if it means destroying the world’s life cycle. Survivors aboard a damaged sky city must use all their wits and resources to keep from sinking into the depths of a gas giant. A veteran space-salvage worker must survive pirates, ruthless corporations, ghost ships . . . and a rookie partner. An embittered field medic in an interstellar war must save a thousand lives before he can go home. A young activist agrees to spread a terrible virus to save the world from a government conspiracy . . . but there may be more than one conspiracy, and she doesn’t know exactly which side she’s on. An ancient, immortal woman in the old South finds that she can put an end to her eternal curse, but only if she kills a Yankee soldier she has nursed back to health. These stories from the freshest, most talented new voices in science fiction and fantasy, are individually illustrated by the best new artists in the genre. You will definitely encounter these names again in the future—but you saw them first in L. Ron Hubbard Presents Writers of the Future Volume XXVII. This has been my favorite volume so far and I'm adding several of these writers to my to-read list.